Predicting the future doesn’t always go so well. For everyone who predicted a form of the internet, there are thousands of people who expected we’d have anti-gravity belts in 2018. But Canadian media philosopher and theorist Marshall McLuhan accurately described the political climate of 2018 — though if we’re honest, we’d have preferred the anti-gravity belts. In the 1967 short film This Is Marshall McLuhan: The Medium Is the Massage,” from McGraw-Hill Films (oddly enough, a studio you’ll be familiar with if you’re a Rifftrax fan), McLuhan explains his views, intercut with explanations and interviews with McLuhan’s critics. The film opens with Marshall McLuhan explaining his famous slogan, parroted in the title of the short film. It’s a pun on his earlier slogan “The Medium is the Message,” which gets at a similar point. However, McLuhan’s use of “massage” is to explain how different media act on the consumer. He refers to the medium as “roughing up” the consumer — but via stealth. McLuhan says that old media becomes the content or message of new media; when film was new, that medium told stories like novels, but in a new way. When TV was new, it repackaged film, but in a new way. And so on and so forth. And look at the internet today — it repackages TV (via YouTube), as well as other media, but in a new fashion. While, for example, someone like Natalie Wynn of Contrapoints makes what could be described as short film or episodes of a TV show, her work is clearly different than what you’d find on TV, but in a more nebulous way. It’s hard to specifically point out why her work wouldn’t air on television — aside from the business angle, of course — but it’s palpably different. Nor is her work what we’d typically consider a “short film” of the type that would play before a feature in a theater. (Not that theaters generally do that sort of thing anymore.) Wynn’s work is very much of YouTube. Comparing Contrapoints and This Is Marshall McLuhan itself: Both use similar techniques of montage and collage (for example, the “Plague” segment of her latest video, “The Aesthetic“), but Wynn’s work requires more analysis, where the collage in this film is much more passive and straightforward. McLuhan called this the difference between hot or warm media like film — treated as an extension of the eye, where the viewer can be more passive — and cool media like television, comics and, yes, YouTube, Twitter and the rest of “new media,” which requires more effort from the viewer. Warm media is a lecture; cool media is a discussion. McLuhan points out that with cool media, the point is more about how it makes you feel or react. If the news reports a story, the content of the story is as important (and probably less so) than the overarching narrative of why the story is being reported. The difference is that now, more people are aware of that side of the coin; society is “wide awake” in his metaphor. But sadly, that, ahem, wokeness is easily exploited. It generally doesn’t matter what specific nonsense Donald Trump tweets; it gets the same reaction nevertheless. But it’s not mere us-versus-them; it’s a distraction. If America is an infant, these tweets are jingling the keys while a shot is administered. Unfortunately for us, that shot is generally poison — but still the keys distract us. As Marshall McLuhan pointed out, the telephone sped up decision-making. People can speak to each other, even if they’re on opposite sides of the world, in an instant. The internet has made the world even smaller. With the telephone, you still had to know the person before you would reach out to them. But with the internet, you’re given a wide variety of views from people you don’t know. How many of us have friends we’ve made online who live on different continents? I’d imagine that’s just about everyone reading this. Of course — this is a great thing. We’re allowed access to different communities and can easily hear different points of view. But as the telephone sped things up, so too has the Internet. Sunny Moraine recently called it a “crisis of temporality”: Time seems to be going both very, very quickly and very, very slowly. The news cycle turns over so quickly, it’s impossible to keep up; major events from last week can feel like they happened months ago. But from day to day, the most important story can change so rapidly and things get lost in the shuffle. Sometimes it’s by design — as when Trump does something easily mockable to distract from bigger stories — but not always. The big example this week was the New York Times‘ expose of Trump’s various tax dodges — which was, understandably, drowned out by the shameful rush to confirm Brett Kavanaugh. Though, of course, some of This Is Marshall McLuhan: The Medium Is the Massage is dated — aesthetically as well as some of McLuhan’s examples, his general point has proven true. 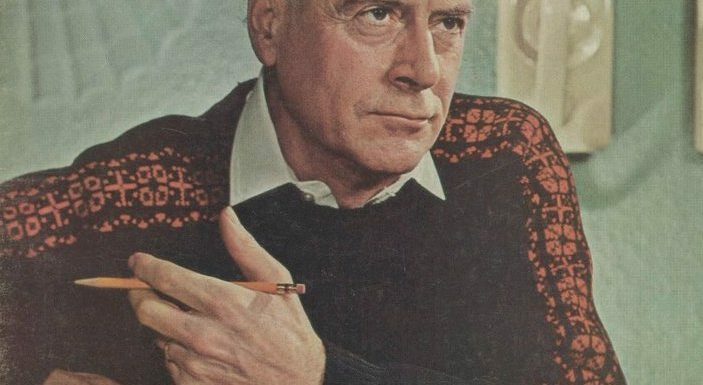 Though McLuhan himself died in 1980, we’re still living in his world.